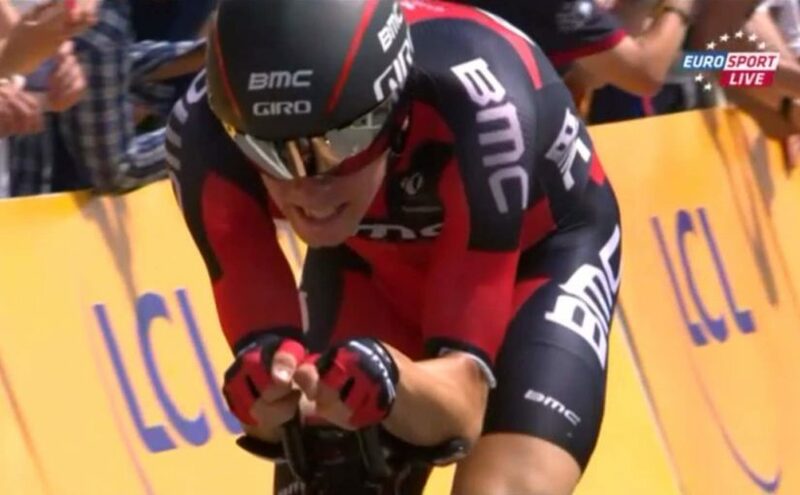 Rohan Dennis (BMC) beats Greg LeMond’s Tour de France time trial speed record which was set in 1989, at the final time trial in Paris (LeMond won that edition with only eight seconds over the Frenchman Laurent Fignon, the narrowest winning margin in history). Dennis’s time over the 13.8 km course was 14 minutes 56 seconds, clocking an average speed of 55.446 km/h. Dennis also broke the prologue record of Chris Boardman which was set in the 1994 edition, Boardman’s previous record was 55.2 km/h (34.3 mph) set during the 7.2 km prologue of the 1994 Tour in Lille. 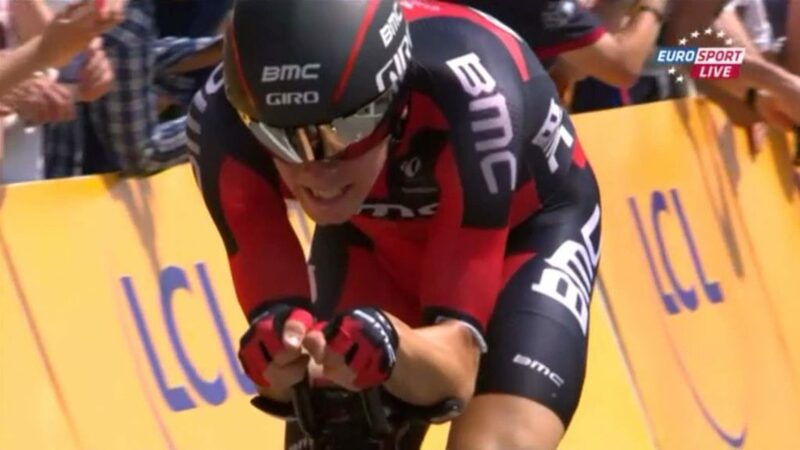 In the opening time trial of 2015 Tour de France, this years’ Tour Down Under winner Rohan Dennis was the only rider to go under the 15-minute mark on the course, and established time trial legends and multiple former world champions Tony Martin (Etixx-QuickStep) and Fabian Cancellara (Trek Factory Racing) failed to beat his time. Martin finished in second with 15:01, while Cancellara finished in third with 15:02. Rohan Dennis (BMC) sets record speed to claim first maillot jaune in Utrecht. Rohan Dennis also broke the hour record in last February. In the general classification contenders, the defending champion Vincenzo Nibali (Astana) marked the best time as he crossed the line in 22nd place. 2013 edition winner Chris Froome (Team Sky) was next in 39th place, seven seconds down on Nibali, with Alberto Contador (Tinkoff-Saxo) conceding 15 seconds and Nairo Quintana (Movistar) 18 seconds.